If you are looking for marriage in 2019 the marriage prediction is positive for Taurus, Cancer, Virgo, Libra, Capricorn & Pisces. 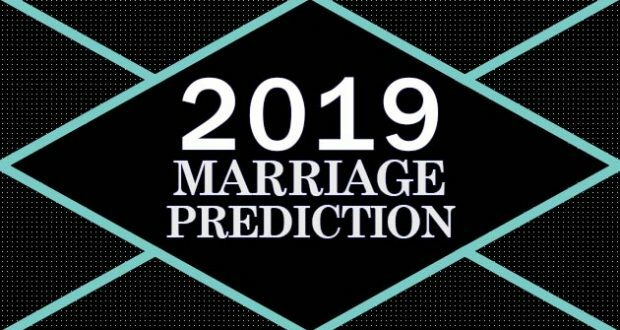 Read the marriage prediction of 2019 in detail. As per current planetary positions, the Jupiter is in Scorpio. The Jupiter is the responsible planet of good happenings, auspicious occasion in the family. Saturn and Rahu Ketu also affect marriage in the current planetary positions. Currently, the following signs have chances of marriage. Predictions of marriage in 2019 for all signs. In the year 2019 Jupiter will be in Scorpio until the end of 2019 so this marriage prediction is for the end of November 2019 only. Rahu & Ketu will be in Gemini & Sagittarius after March 2019. 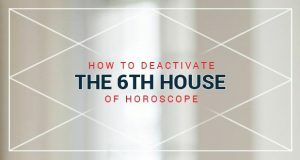 They will affect the prediction for Gemini & Sagittarius. For accurate marriage prediction please check your moon sign in the horoscope. The moon sign is the real zodiac sign if you want to know your prediction. Here is the marriage prediction of 2019 for all zodiac signs. Aries has 8th Jupiter in 2019 so there is no chances of marriage & engagement this year. Taurus have 7th house Jupiter, marriage will take place before September. Gemini will get married this year after November 2019. Gemini has 6th Jupiter so not good for marriage settlement. Cancer will have Rahu and Ketu effect on Marriage till the end of March 2019, they will have suddenly marriage this year. Leo has 4th Jupiter and Saturn’s self-house aspect from the 5th house but they will get married next year in 2020. Virgo has strong Jupiter in the 3rd house they will get married this year in 2019. Libra has good Jupiter in 2nd house so marriage will take place this year in 2019 itself. Scorpio has Jupiter in ascendant so if you try you will have love marriage in 2019. Sagittarius has 8th Jupiter which is not good for marriage. This year in 2019 no chance to get married. Capricorn has 11th Jupiter ideal for marriage because of the aspect of Jupiter on 7th house from the house of wish fulfillment. Aquarius has 10th Jupiter and not good for marriage. This year in 2019 no luck for marriage & settlement. Pisces has Saturn’s aspect in the year 2019 but Jupiter’s 9th position indicates you will have auspicious occasions in family this year. You should be ready to get married in 2019. 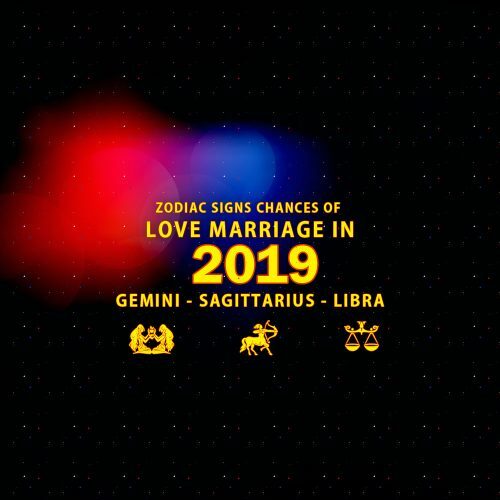 The zodiac signs who have chances of love marriage in the year 2019 are Gemini, Libra & Sagittarius. But the love marriage planetary position will be available for these signs after the end of March 2019. The marriage prediction will definitely help you if you plan according to prediction but if you are going through the period of Jupiter, Venus, Mercury or 7th house lord your marriage will take place this year itself because the planets of birth are more important for accurate prediction of current year. 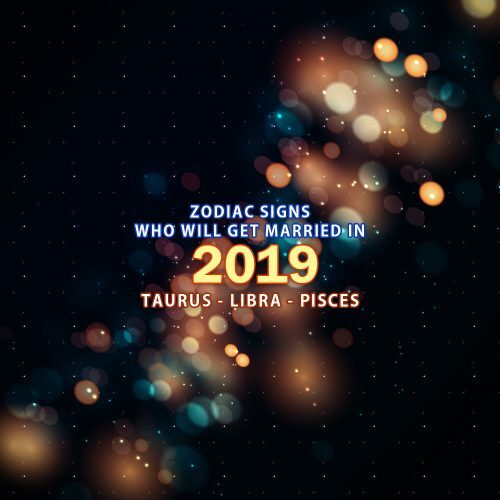 As per the best of my knowledge the prediction of marriage for Taurus and Libra is they will get married this year in 2019 itself.